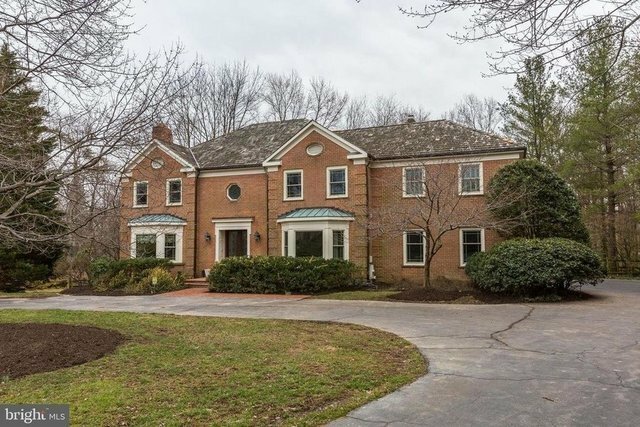 Classic elegance perfectly situated on premium lot just minutes to Potomac Village! Take your breath away beauty found here! No stone has been left unturned in the design and presentation of this magnificent all brick Potomac home.Featuring six bedrooms, five full and two half baths on three finished levels, this 6,500+ square foot beauty has it all! Ultimately luxurious, yet completely functional, fabulous details include gleaming hardwood floors, three fireplaces, huge entertaining spaces, walls of windows with gorgeous wooded views, and a large deck and patio for dining al fresco.The floorplan features oversized formal living and dining rooms, a first floor office with built-ins, a well-appointed chef's kitchen with a granite-topped center island with breakfast bar seating, an adjacent breakfast room addition flooded with sunlight and floor-to-ceiling windows, and a family room with a dramatic tray ceiling and a built-in entertainment center.A lovely hardwood staircase leads from the grand foyer to the upper level open lounge - the perfect reading space or just the spot to relax! Double doors take you into the master suite with excellent closet space, a dressing area and full bath with separate jetted tub and glass enclosed shower. There are three additional bedrooms and two more full baths on this level.Perfect for guests or parties, the finished walkout lower level boasts a recreation room, game room, two bedrooms and two more full baths. There is also a small kitchen area that lends itself perfectly to a nanny suite.Outside, there is a spacious wrap around deck, as well as a circular flagstone patio in the fenced yard offering amazing views and total privacy! A circular driveway leads to the house from the cul-de-sac of luxury estate homes. Enjoy the Potomac lifestyle at this impeccable colonial, with gracious living both inside and out!